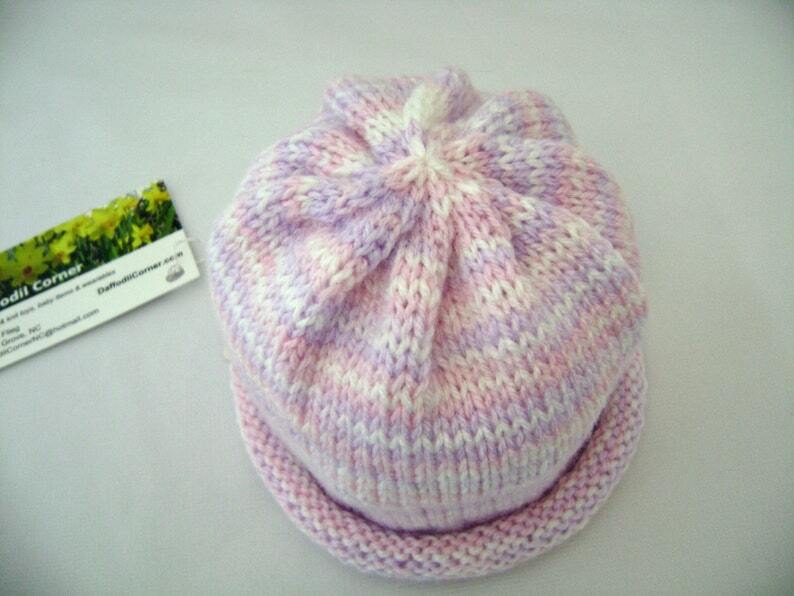 Handknit rolled brim cap in white, lavender, and pink stripes. Ready to ship! I knitted this hat on circular needles, so there are no seems to irritate baby's head. Created in a smoke free, dog loving home. Shipping: USPS first class with delivery confirmation where available. See Shipping tab for cost. Other sizes and colors available by special request. Just contact me. Thanks for shopping Daffodil Corner.